The 46 m² suites, besides having bedroom and bathroom, also have a second separate room with a comfortable couch, two easy chairs and a table with chairs. From the bedroom you can directly access to the bathroom. A variety of colour combinations and stylish materials provide each room with its own very individual character. Upon prior reservation suites can also be offered with two bedrooms as the couch can be converted into a full bed. 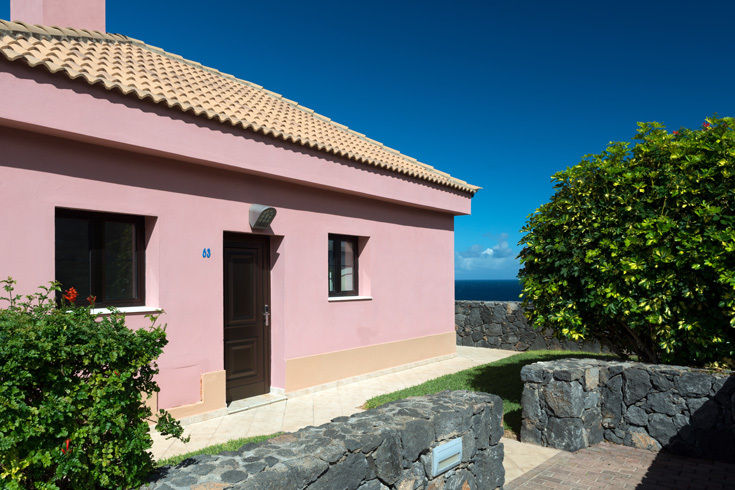 The bathroom is equipped with a bathtub, a separate shower, hair dryer and an under floor heating system which can be separately controlled. In accordance with the 4 star standards, the spacious rooms are equipped with an LCD television set and satellite programmes, telephone, WIFI and a safe. A second television in the bedroom provides additional technical comfort. The individually controllable air conditioning system ensures comfortable temperatures all year round. A mini-kitchen with refrigerator, washbasin, dishes and microwave oven allows for the preparation of packed lunches or snacks. 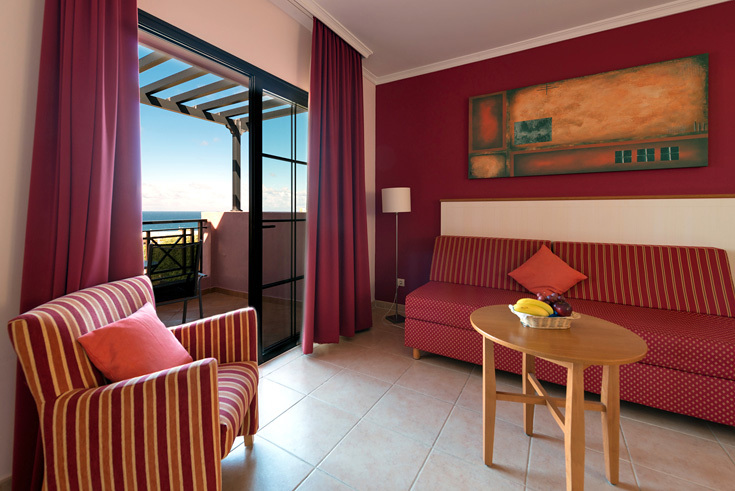 On your own terrace or balcony you can enjoy views to the sea from almost all suites. Each room is also decorated with a picture of Marco Mehn, artworks of radiating colour and warmth. In his works, the artist targets “all people who are seeking art which touches heart and soul and which needs no explanations."